You send out tons of emails and yet your open rates are dismal. Before you throw in the towel, just take a look at our list below and see if you practice the following. It is not too late to change and just follow our advice to vastly improve your open rates. If you had purchased your list then of course you’ll have low open rates. If the people on your list didn’t subscribe to your mailings, why would they bother to open any emails from you. This is basically common sense. So ditch the bought list and start practicing ethical list building by going for double opt-in. Read more about double opt-in. Even if you do practice ethical list building, people change email addresses all the time so what may be valid today, might not be 6 months down the road. Which makes it very important for you to validate your mailing list right before you perform an email marketing campaign. This way you save money as you won’t be sending emails to unreachable people. If you are like most email marketers, chances are you will have to deal with people who have a variety of interests. This is where mailing list segmentation comes in. You need to understand the needs of your audience and group them accordingly. For example, a younger group of audience may be interested in tech gadgets while some older folks may be interested in high end electronics. Once you have grouped your audiences into a few broad categories, you can send emails that are more geared towards their interests. Read more about segmentation. Don’t write long and boring subject line. Keep it short but interesting. With one glance, your audience should be tempted to open the email and keep reading. 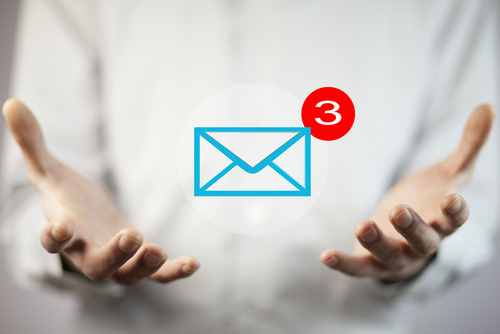 Make the subject line descriptive enough but withhold some details so that the reader is compelled to click into the email body to read the rest. Read more about headlines.